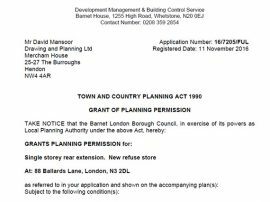 We Help You Obtain Planning Permission With Barnet Council! We are a Barnet based planning team who know the planning process can be stressful and overwhelming. 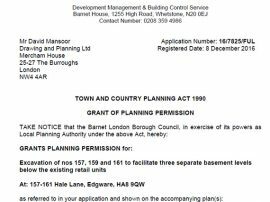 That is why we offer you a comprehensive planning package where our Architects, Structural Engineers, Town Planners and Consultants combine their expertise under one roof, working together to get you planning permission at the first asking with Barnet Council! 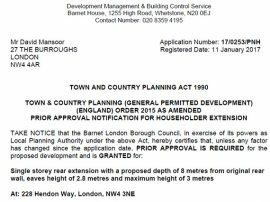 We boast an excellent record of Planning Permission Success in Barnet Council! Our experienced consultants will remain in constant contact with the Planning Department at Barnet Council at every stage of your planning application. 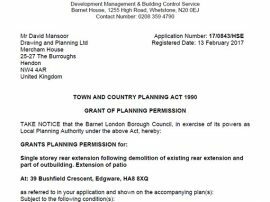 Whatever improvements or enlargements you are proposing to carry out in your home, we are here to help you gain the necessary Planning Permission with Barnet Council. 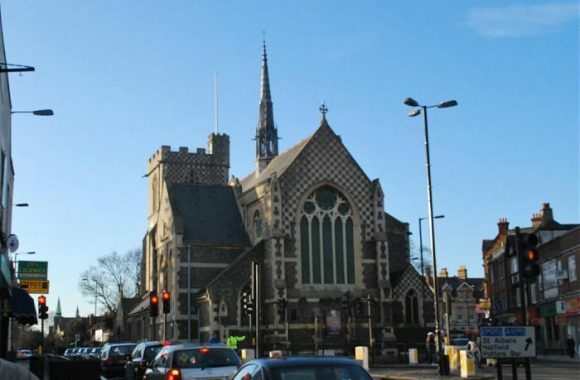 We provide you with expert guidance and handle all aspects of your application, ensuring you have the best prospects of gaining planning permission with Barnet Council. We understand that the planning regime can be quite harsh and confusing. Our experts are on hand to guide you through every step of the process, making planning an easy and pleasant experience! Our unique and successful approach of offering an all-in-one planning packages takes the headache out of planning for you whilst making significant savings over a traditional architect’s fees! 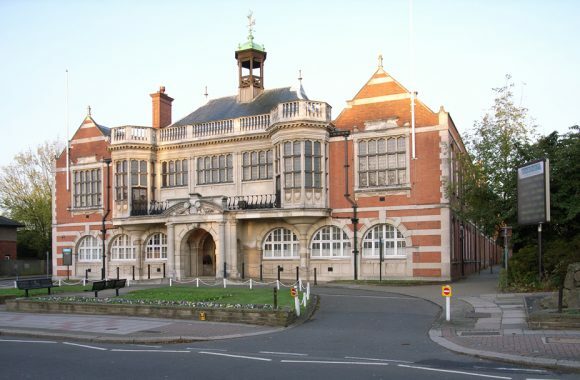 With an in-house team of Architects, Structural Engineers, Town Planners and Consultants working together through every aspect of your planning application, we are best placed to handle your application and help you get Planning Permission with Barnet Council! 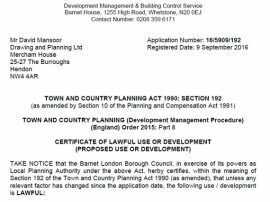 Our consultants are qualified Town Planners with expert, up to date knowledge of the latest Planning Legislation applicable in Barnet Council. They work alongside our architectural design team at all times to ensure that the planning drawings are not only accurate and to scale but also in line with the complex Planning Regulation demands of Barnet Council. What's more is that we successfully submitted 500+ planning applications across London. 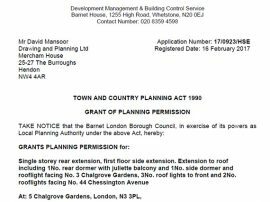 We know what it takes to successfully attain Planning Permission first time with Barnet council. 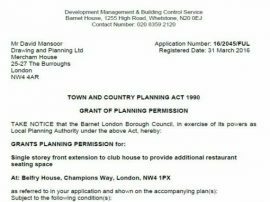 We will be in constant contact with them at every stage of your project to ensure that your application is in line with the regulations, helping you gain planning permission with Barnet council! Scaled Architectural Drawings are just one aspect of a successful planning application. Drawing and Planning do not simply create Planning Drawings. 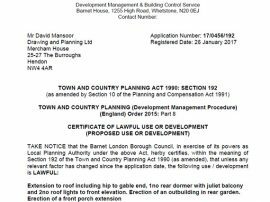 Our consultants are well acquainted with the current Planning legislation in Barnet Council and work closely with our architects to ensure the drawings are in line with current regulations. 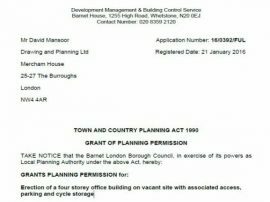 If you are looking into planning application Barnet at the moment, it can help to have some kind of inside knowledge as it were. This does not mean that you need to have a lot of contacts in the business, but simply looking into a planning consultancy Barnet such as ours can really help. 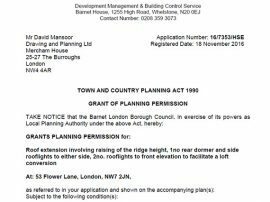 Any successful planning application Barnet is going to have to take into account all of the rules and regulations that Barnet itself has to its applications. These will differ depending on what you want to achieve and where you want to do it, so looking specifically at a planning consultancy Barnet company will benefit you hugely. 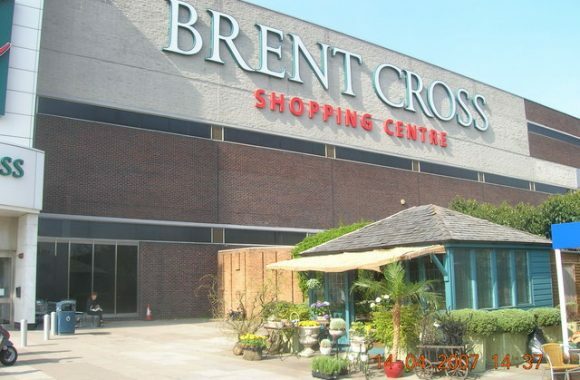 This is simply because a lot of businesses based outside of Barnet will not be aware of the niche aspects to any particular application that you may be making, while we will be able to help you in this. Unlike any other business in its calibre, we can really provide you with all of the relevant information that you need, making any planning and transition that much easier. It really is a good idea to look into this sooner rather than later, so that you can really get the most benefits from it.